The flexible T-connector provides a connection for 2 ropes within a flexible connector. 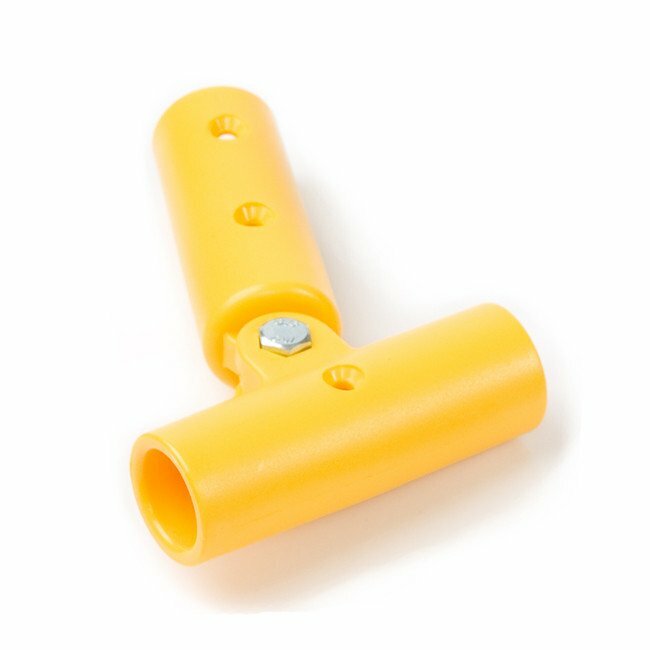 An ideal connector when manufacturing net bridges or for any rope horizontal where you need a flexible vertical element. 3 screws are provided with this fixing.